Jessying - Malaysia Beauty Blog - Skin Care reviews, Make Up reviews and latest beauty news in town! : Melvita Nectar De Miels rescue dry & sensitive skin with Thyme honey! Melvita Nectar De Miels rescue dry & sensitive skin with Thyme honey! Melvita launched Nectar de Miels bodycare a while ago. Sorry I have been really busy and I wish I could share with you guys sooner on this. Being a fan of Melvita, I can't help to contains my excitement when they launched this new range that is enriched with organic Thyme Honey because they said this will rescue even the driest and most sensitive skin! 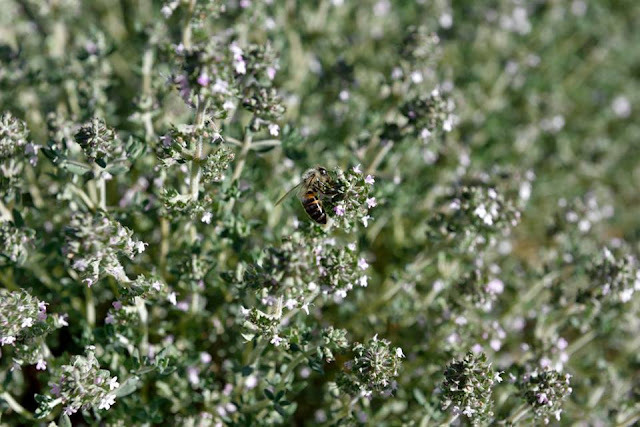 Thyme flowers are rich in nectar and loved by bees of the Mediterranean Basin. The Romans would use it to purify the air in their houses while during Middle Ages, a few spring of thyme would be slipped under the pillows to chase away nightmares and soothe troubled sleep. Melvita's organic thyme comes from the La Sierra de Cebollera nature reserve in Spain. It's harvested by a family of beekeepers who have looked after almost 4,000 hives there for the past three generations. 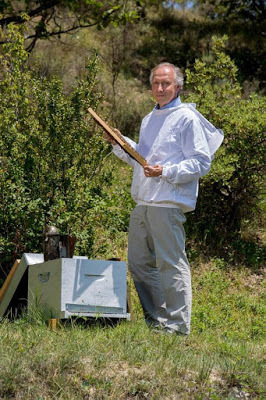 This natural enclave, surrounded by mountains, guarantees an organic honey of the highest quality. Following the research done by Melvita, they found that Thyme flowers honey was able to acts like a natural "dressing" with an instant soothing effect to our skin. It has also reveal an amazing synergic effect when it's combined with acacia and orange blossom honeys in the NEW Nectar de Miels range to HEAL and RESCUE very dry & sensitive skin. Melvita Nectar De Miels range comes with 3 products ; Hand cream, Body Balm and Body Milk Lotion. Both this body lotion has floral sweet honey scent because it is enriched with organic thyme honey. that is a little empowering at the first sniff for me but it soon goes away after a while. Soon after that I got used to the scent. I have very dry skin to start off and some times my leg skin is flaky... so I have to constantly have to apply body moisturiser. The Comforting Creamy Milk is lighter in texture compared to Comforting Balm which is more rich, smooth and creamy. Both leaves my skin incredibly soft after massaging it into my skin and most importantly it does not leave greasy/sticky feeling behind. Personally I prefer to apply Creamy Body Milk in the morning and Comforting Balm at nigh because it is super moisturizing and it leave my skin feeling soft & supple till next morning although I sleep in my in air-conditioning room. For rough skin areas like elbow, knee and heel, I would suggest to apply comforting balm and after that cover with long sleeve/pants or put on socks for better result. Highly recommending it to people with dry & sensitive skin! It think it also heals my skin scratches (I got from playing with my dog) faster by soothing, moisturizing and healing my skin. Highly recommended for people with dry skin as it is a concentrate of nutrition for skin! And if you are someone who is really into organic & natural skincare and body care, this is definitely a brand you have to try because Melvita has Ecocert which means at least 95% of their total ingredients are from natural origins, and at least 95% if the total plant-based ingredients are organic while at least 10% of the total ingredients are from organic farming.